You must be thinking the Revox B285/286 is already remote capable with the B201, B201CD and B205 remotes, but, these remotes are big, clunky, hard to find and expensive. Oh, want one other thing, the remote protocol that Revox used in these units is super old and not compatible with any universal remotes so you can't integrate it with your other units with in one Pronto or Harmony remote. That's where this remote adapter comes in. This remote adapter is controlled via modern SIRC Sony IR protocol which is arguably one of the most supported IR protocols in the world. It will make your B285/286 controllable from any universal remote capable of sending Sony VCR player codes including the Pronto and Harmony! This unit controls most of the functions supported by the original remote. 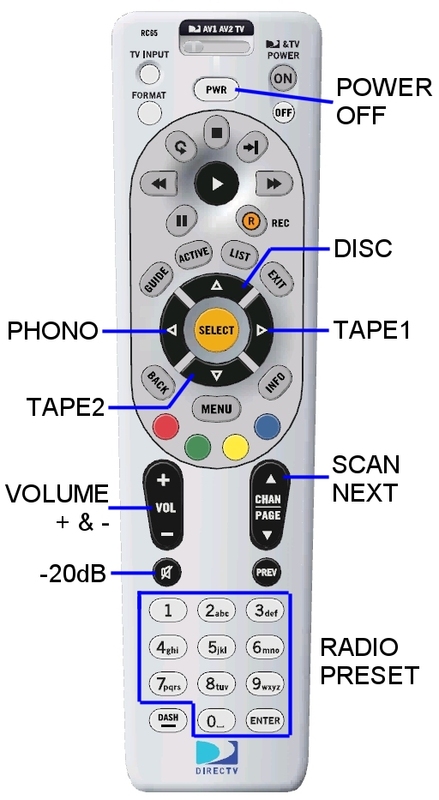 Go down to the picture of the remote control for a list of all the supported functions. Turn off the power to the tape deck. Plug the remote adapter into the Serial Link connector on the back of the receiver. Now power can be turned back on. The light on the front of the remote adapter should be on. The remote adapter does not need any external power. It gets its power from the receiver. 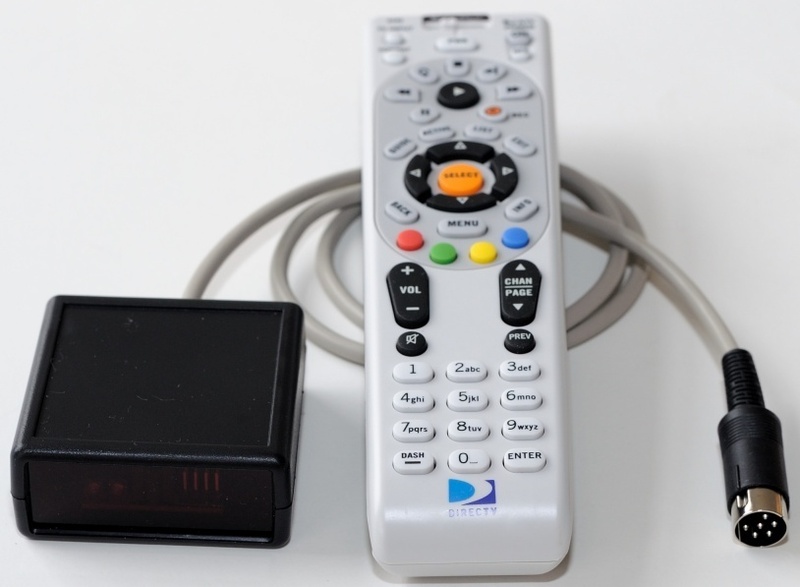 The universal remote adapter is able to control 20 functions on the Revox B285/286. To program the DirecTV remote first slide the switch at the top to AV1 or AV2. Press and hold the MUTE and SELECT buttons until the green light at the top blinks twice then release. Using the number keypad enter the 5-digit device code from the table above. If done correctly the green light will blink twice after the last digit is entered. On the DirecTV remotes the REC button needs to be pressed twice to activate record. DirecTV manual and code list.